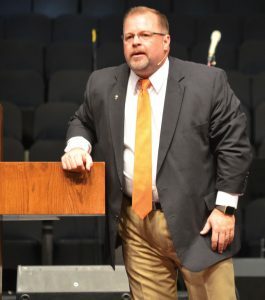 DEL CITY—“Shout” was the theme of the 2017 Oklahoma State Evangelism Conference (SEC), which could describe the volume level at Del City, First Southern, Jan. 30-31. 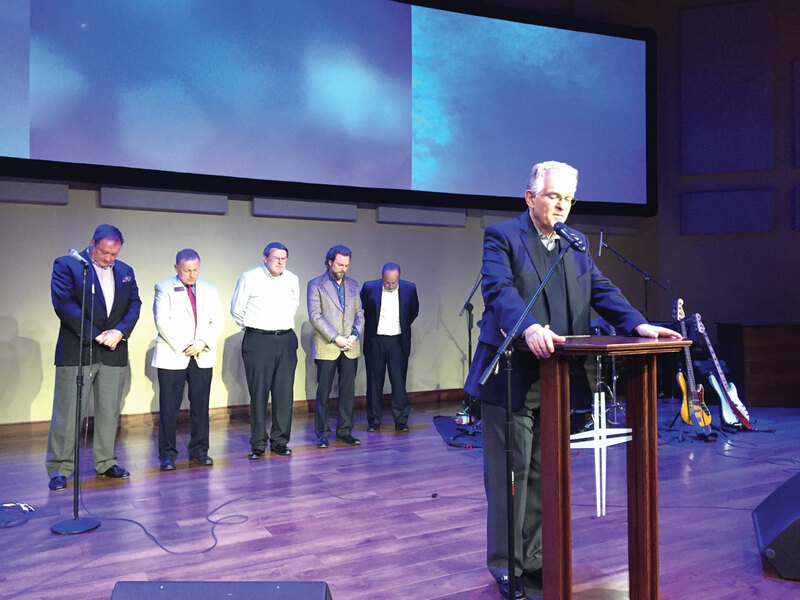 The Word of God was boldly spoken; those in attendance proclaimed God’s praises in worship led by Charles Billingsley from Lynchburg, Va., Thomas Road. And the importance of evangelism in today’s society was emphatically stressed by the many speakers during the two-day event. SEC kicked off with a senior adult morning session. A senior adult choir sang, along with Billingsley leading. 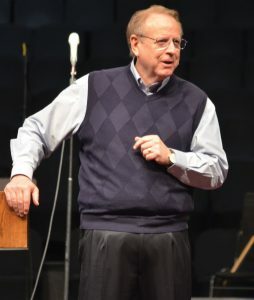 Along with the two speakers for the session, Jim Stewart of Evangelism Explosion gave a brief training on how to share the Gospel with the deaf. 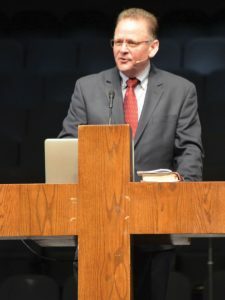 Both the afternoon and evening sessions featured sermons emphasizing apologetics, discipleship and personal evangelism. Charles Lowery | President & CEO, Lowery Institute for Excellence, Inc. Highlight: Walker led off the Monday afternoon session speaking on “Is there a God? Speaking the truth in love to atheists, agnostics and skeptics.” He shared about his personal experiences of connecting with atheists, asking them if they did find Bible to be true would they follow God. One said he would not, saying he has read the Bible eight times, and found God to be unjust with examples of killing groups of people in the Old Testament. 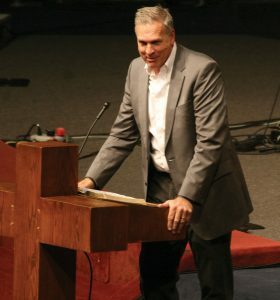 Highlight: Meador was the first of two speakers who preached from John 4, about Jesus meeting the woman at the well. He emphasized the importance of sharing the Gospel conversationally. Highlight: Becton concluded the Monday afternoon session also speaking from John 4. Becton shared a story involving a couple who was involved in a pray walking ministry in Richmond, Va. The couple met a man from El Salvador, leading him to Christ there on the street. Becton said they told the man about a new Hispanic mission that was opening up in an old night club. Though it was late, they went by and found out the pastor was there, fixing up the place. 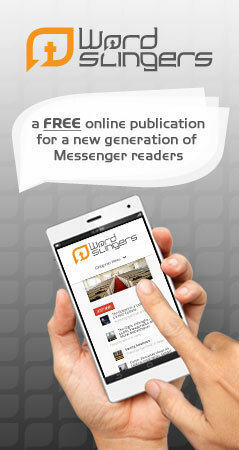 “They introduced him to the new pastor, and he is from… El Salvador. Only God (can make this happen),” Becton said. Becton concluded with a prayer time with pastors and church staff members who felt they were struggling. 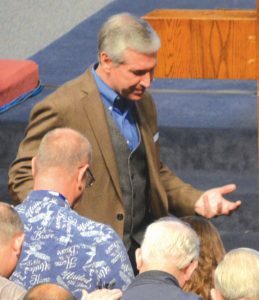 Highlight: Rainer spoke in the Monday evening session from Acts 6 about the early church meeting the needs of widows during an evangelistic momentum. The concern he addressed was how the church can move inwardly during a time of the church growth. The second day of SEC began with morning breakout sessions, as 16 sessions covered practical aspects of evangelism, including sharing with students, evangelism and worship services, how to give an effective invitation, evangelism through sports (see page 8) and sharing the Gospel with Muslims. 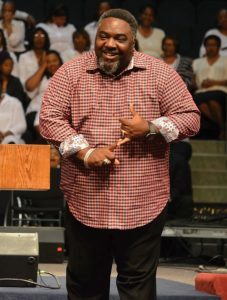 The afternoon and evening sessions featured more excellent speaking, more singing and worship with Billingsley, and the African American Fellowship of Oklahoma Choir gave a concert and sang with Billingsley in a powerful worship setting. 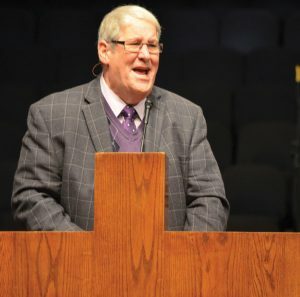 Highlight: Vines opened the Tuesday afternoon session, speaking on Acts 8. He shared his own personal experiences of sharing the Gospel and how his church approaches personal evangelism. Highlight: Keith spoke from Jeremiah 20, encouraging attendees to not quit sharing the Gospel. 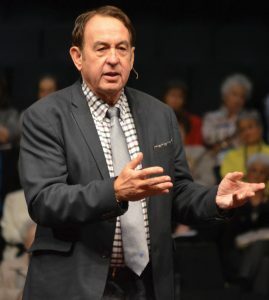 With numerous stories about pastors, churches and personal evangelism, he made the challenge to focus on purity, power and passion that come from God. 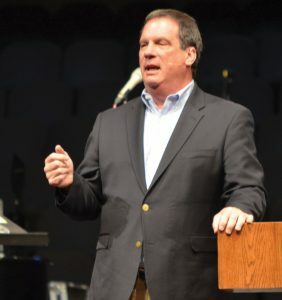 Highlight: Kelley shared the research he has done on the history of baptisms in Southern Baptist churches, mentioning how there were 220,000 baptisms in 1945, 415,000 baptisms in 1955 and has greatly decreased since then. Kelley made an emphasis of how churches today need to have equal passion for both evangelism and discipleship. 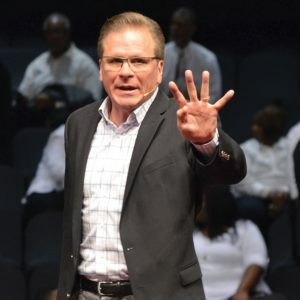 Highlight: Vines spoke again during the Tuesday evening service on “Five Things God Does Not Know.” God does not know anyone who has not sinned. God does not know a sinner He does not love. God does not know a sin He cannot forgive. God does not know a better plan of salvation than Jesus. And God does not know a better time to be saved than now. Highlight: Turek, author of the book I Don’t Have Enough Faith to be an Atheist, concluded the SEC sharing four questions to establish with unbelievers why Christianity is the most reasonable worldview: 1. Does truth exist? 2. Does God exist? 3. Are miracles possible? 4. Is the New Testament true?